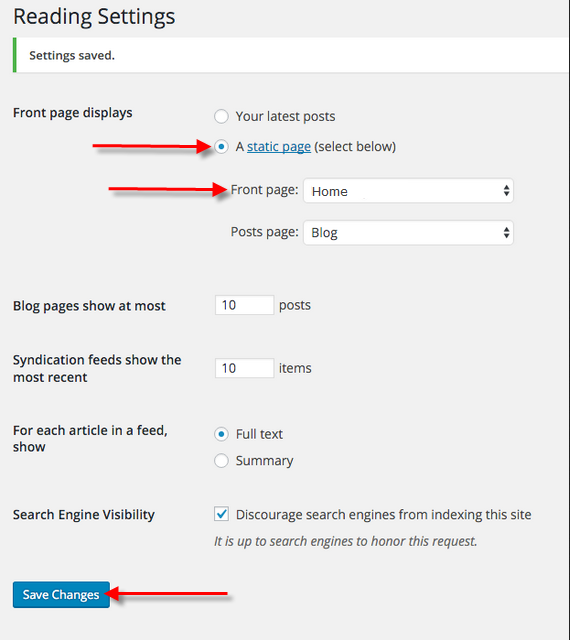 By default, WordPress installs all new websites to display blog post excerpts on the domain's home page. 1. 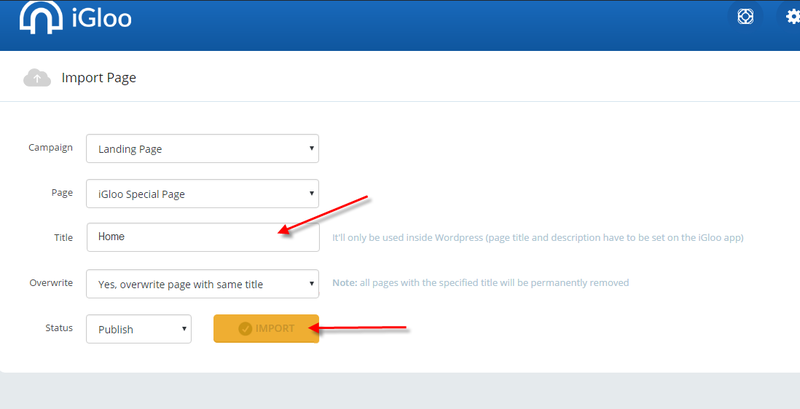 Create a front page in iGloo and publish it in WordPress using the iGloo Wordpress plugin. Title it "Home" and click Import. 2. Go to Settings > Reading. Select “A static page” for Front Page Displays and select Home for Front Page. Click Save Changes. Note: You do not need any content on the page named “Blog”. This page can be left blank.